Sunspots. 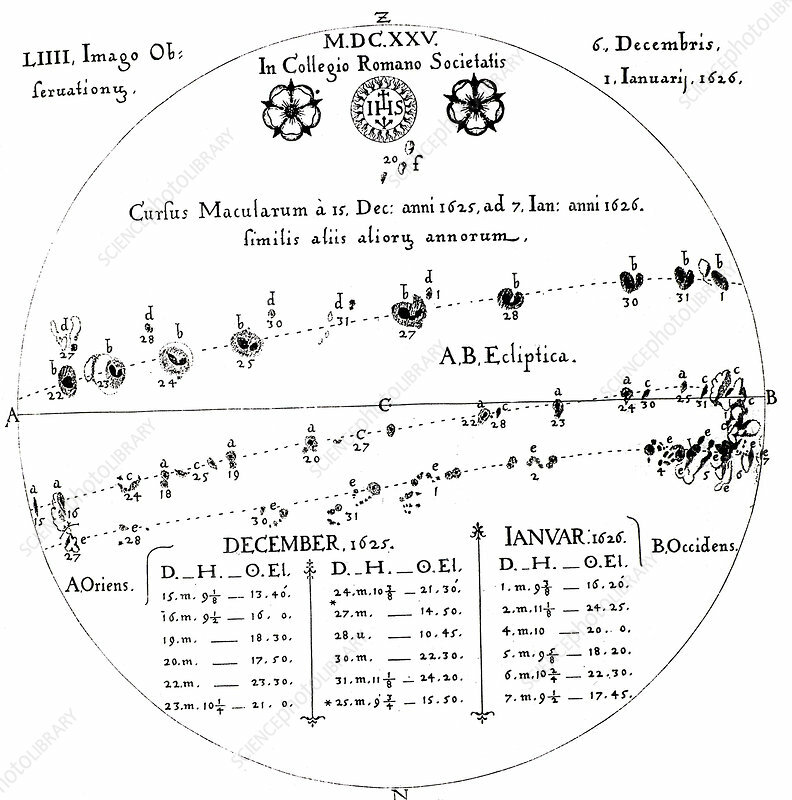 Observations of the passage of sunspots across the solar disk in December 1625 and January 1626. From Rosa Ursina by Christoph Scheiner (Bracciano, 1630). Engraving.